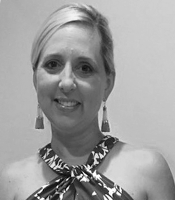 ASHLEY PEARCE has lived in Winston-Salem for 20 years. She is married to Dan and has two sons, Owen and Wyatt. She is so excited to be taking part in her second “Take the Lead” event. RANKO BOGOSAVAC was born in Bosnia where he started his promising dance career at age 9. He won numerous national championships over the next nine years, and in 2009 moved to the US. Competing professionally in American Style Rhythm division, Ranko placed in the finals of all the major competitions in the US. 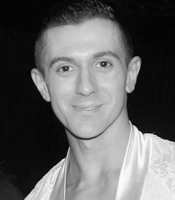 In 2012 Ranko moved to Charlotte NC to dance and work for Metropolitan Ballroom while continuing to compete successfully in international competitions. He wasted no time getting involved in the American dance community and the community at large. Ranko has now brought his great talents to Winston-Salem, opening the Best of Ballroom studio with Laura Stainback in 2017! He has contributed his considerable expertise and style to Take the Lead for many years, and we are grateful for Ranko and his devotion to this event and the children it will benefit.